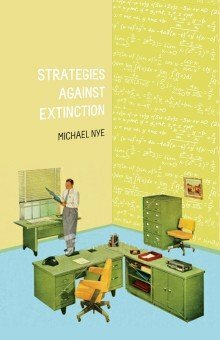 There’s a wonderful new review of Strategies Against Extinction up at Paste Magazine, the award-winning magazine of all pop culture goodness. Her review also touches on work by Kyle Minor and Matt Bell, two writers whose books you should pick up and read immediately. It’s great to read a view that puts your work in context with other contemporary writers: none of us write in a vacuum after all, and this review draws parallels between three story collections in a way that you might not initially recognize. Nye approaches characters with a kind of compassion and patience in the writing of Andre Dubus II. Dubus once stated in Stories from a Moveable Chair, “I love short stories because I believe they are the way we live. They are what our friends tell us, in their pain and joy, their passion and rage, their yearning and their cry against injustice.” Nye shares a similar philosophy, creating stories that all deal with denial, loss and estrangement at some level. He delicately speculates on the order and patterns his characters weave in the havoc of their lives, but he never rushes the process. You can read Laura’s thoughtful review here.